In May our Immigration Minister Peter Dutton made an assault on Australians whose family heritage is from overseas. Karl Stefanovic made a public call for Mr Dutton to apologize to the post-war generation of new Australian’s whose enterprise and labour helped build Australia into the world class national economy that it is today. His assertion that people’s value is based on their literacy was ill-informed and an insult to families whose parents and grandparents made the move to Australia to build not only a better life for themselves and for their families, but to build a better Australia too. The grading of people’s value in this way divides a diverse Australia and in effect calls upon white Australians to look down on any Australians who look like they, their parents or grandparents might be “from somewhere”. On Monday Peter Dutton singled out the Lebanese-Australian community, declaring that PM Malcolm Fraser had made a mistake to let any of them in. His argument was that Lebanese Australians were a mistake because 22 of them have committed 2/3 (by his calculation) of terrorist acts in Australia. 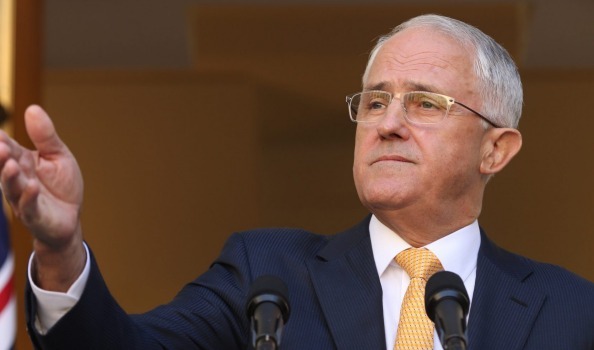 Today PM Turnbull staunchly defended his immigration minister. Peter Dutton is “a thoughtful and compassionate immigration minister” who is “doing an outstanding job.” So said Mr Turnbull in defence of Mr Dutton’s statement about the moral value of Australians of Lebanese heritage. Are these remarks and the PM’s defence the beginning of the end for our current immigration regime, will Mr Dutton be quietly replaced, or will there be much more of this to come? My concern is that if Mr Turnbull fails to discipline Mr Dutton, and be seen to discipline him, it will further empower the power-brokers to whom Mr Dutton is appealing with his ongoing xenophobic remarks. If those power-brokers are further empowered then we have an even messier future ahead of us. In the States we are seeking an emboldened KKK and white supremacist underbelly. As long as he leaves Mr Dutton to keep up his appeals to what Malcolm Fraser called the “redneck vote”, Mr Turnbull offers no hope to those of us who would want something better for Australian society.